The Node view allows you to make advanced connections and isolate certain portions of your project. It also allows you to perform multiple exports from the entire node structure or from specific sections. For this kind of process, use the Write node in the Node Library view. 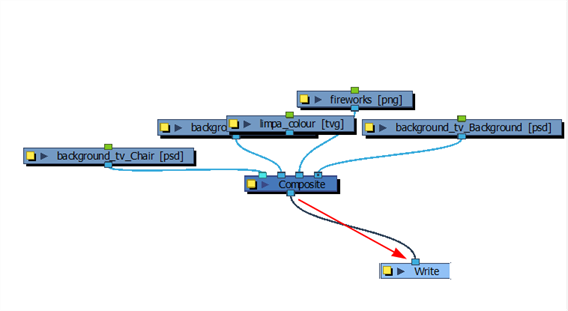 The Write node lets you render and output the connected image information. Using the Write node, you can export a project as a QuickTime movie or as image sequences. You can export one format at a time or both simultaneously. To export an image sequence, you need to adjust a few settings in the Write node’s properties. You can export image sequences as several different formats. Note that formats with transparency are premultiplied. TVG Toon Boom Vector Graphic. 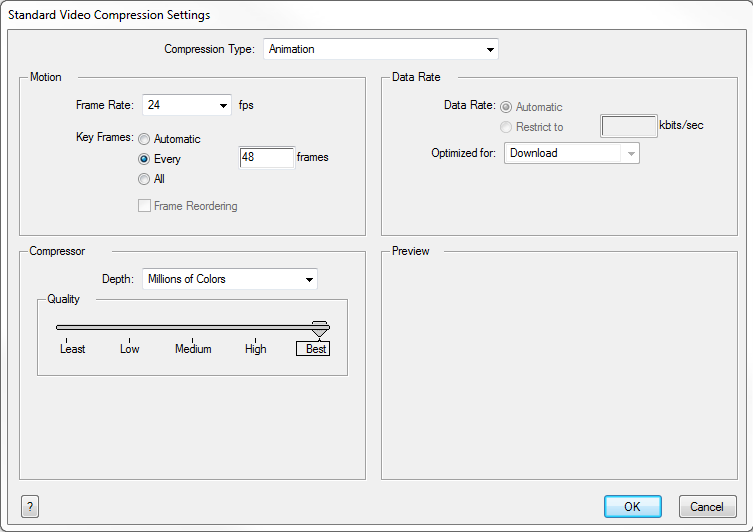 The Toon Boom vector proprietary format. TGA (TGA1, TGA3, TGA4) Select TGA4 to export your sequence with an alpha channel (transparency). SGI (SGI1, SGI3, SGI4) Select SGI4 to export your sequence with an alpha channel (transparency). SGIDP (SGIDP1, SGIDP3, SGIDP4) Select SGIDP4 to export your sequence with an alpha channel (transparency). OMFJPEG Exports your sequence as OMFJPEG files. PSD (PSD1, PSD3, PSD4) Select PSD4 to export your sequence with an alpha channel (transparency). PSDDP (PSDDP1, PSDDP3, PSDDP4) Select PSDDP4 to export your sequence with an alpha channel (transparency). YUV Exports your sequence as YUV files. PAL Exports your sequence as PAL files. SCAN Exports your sequence as SCAN files. 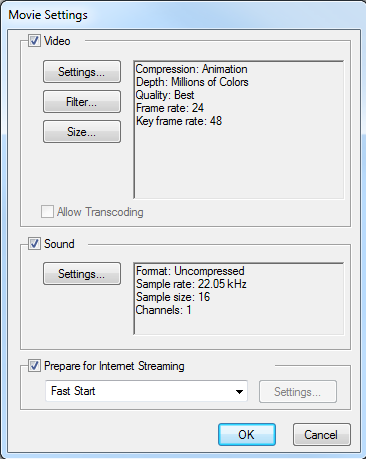 PNG (PNG4) Select PNG4 to export your sequence with an alpha channel (transparency). PNG4 images are straight. JPG Exports your sequence as JPG files. BMP (BMP4) Select BMP4 to export your sequence with an alpha channel (transparency). Exports your sequence as IFF files. Exports your sequence as VAR files. Exports your sequence as TIFF files. Exports your sequence as DPX files. PDF Exports your sequence as PDF files. Your drawings must be vector and all your Composite nodes must be set as Vector to obtain vector PDFs. NOTE: The formats used if you need to output a vector format are .tvg and .pdf. You can also export a .swf movie. To export a QuickTime movie, you need to adjust few settings in the Write node’s properties. In the Node Library, select the Output from the list of categories. Select the Write node and drag it to the Node view. In the Node view, connect the final Composite node or any other node which outputs an image you want to render to the Write node. In the Node view, open the Write node’s editor by clicking its square yellow properties button. 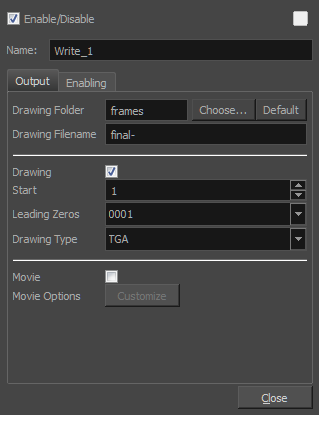 In the Output tab, select the Drawing option to create an image sequence. Click Choose and browse to the directory where you want to save the output. You can also use the default directory to save in the default frames folder included in the scene directory. In the Drawing Filename field, type the image sequence’s name prefix. It is recommended to leave the hyphen (-) at the end of the name to separate the image name from the image number. In the Start field, select the starting number for the image sequence. In the Leading Zeros field, select the number of digits you want to see after the sequence prefix. In the Drawing Type field, select the file format in which your project will output. NOTE: When the file format includes a "4" at the end of its name, it means that an alpha channel will be created. In the Node view, open the Write node’s property editor by clicking on its square yellow properties button. In the Output tab, select the Movie option to create a movie file. Click Choose and browse to the desired directory to save the output. You can also use the default directory to save in the default Frames folder included in the scene folder. In the Movie Filename field, name the output file. You do not need to write the file format extension. Click Customize to open the Movie Settings dialog box. In the Movie Settings dialog box, in the Video section, click Settings to set your video options. 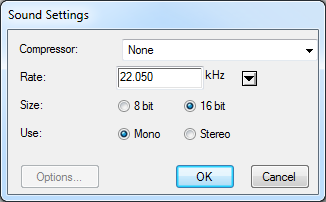 In the Movie Settings dialog box, in the Sound section, click Settings to set your audio options.